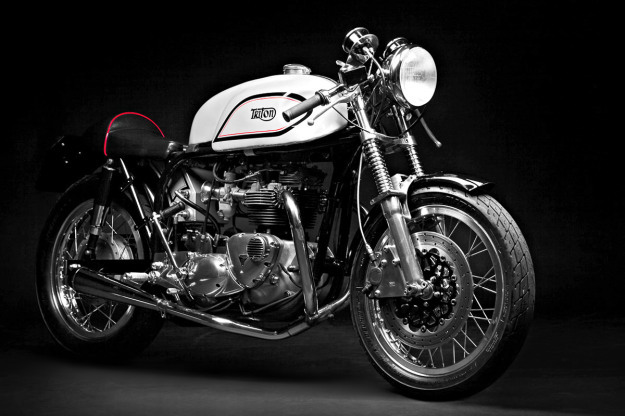 The term ‘café racer’ has become so abused, it’s lost virtually all meaning. (Okay, we’re occasionally guilty too.) So let’s go back to square one, and check out a bike that fits the description to a T.
‘Brenda’ is hardly the most glamorous name. But maybe that’s the English sense of irony at work. 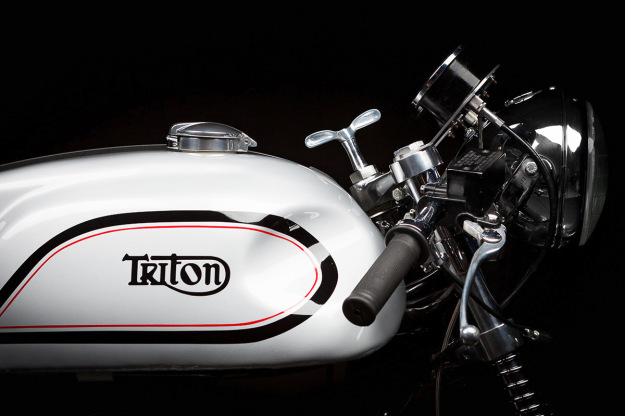 Adam’s Triton has the perfect aristocratic pedigree: a 744 cc Triumph T140V engine from the mid Seventies snuggled into a ‘wideline’ Norton featherbed frame. 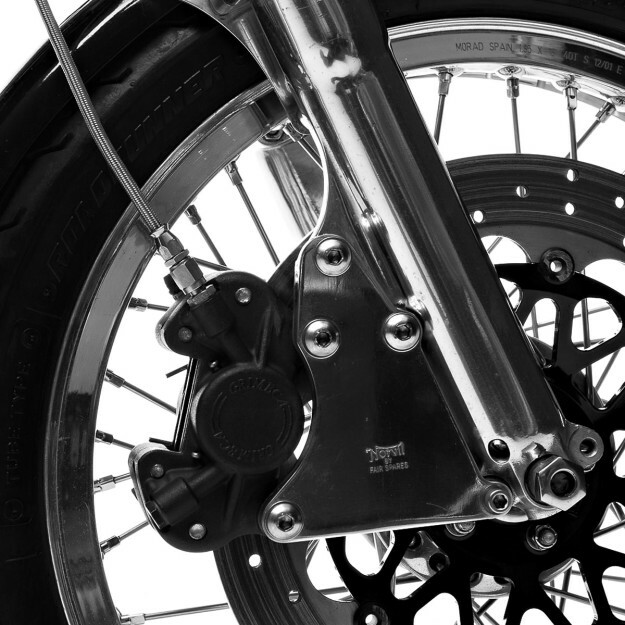 On the up side, the Triton already had the desirable short Norton Roadholder forks with external springs, 18-inch alloy rims, and a few Dresda bits—including the swingarm and engine mounts. Adam also lucked out with an SRM Classics clutch, a Boyer Brandsen ignition, and a Hayward primary belt drive kit. The oil filter was from a Norton Commando and there’s a Norvil front disc conversion. “Not period, but works a treat,” he notes. With the help of a mate called Shorty, Adam has also installed an alloy five-gallon Manx tank, which conceals the ignition and coils underneath. 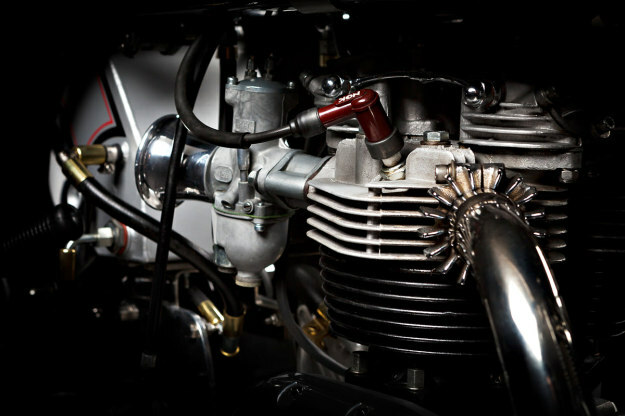 The oil tank is also in the Manx style, with the front squared-off to increase the space between the tank and carbs. 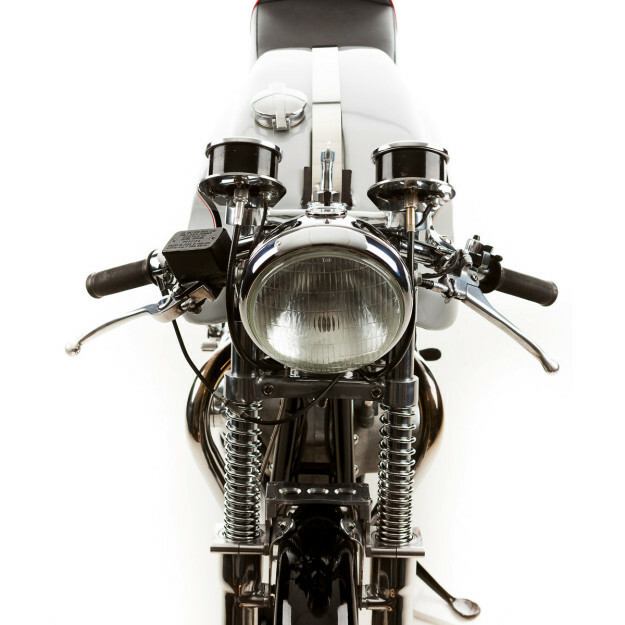 Other goodies include a Manx seat, a Norvin top yoke, and stainless mounts to hold the classy Smith instruments. 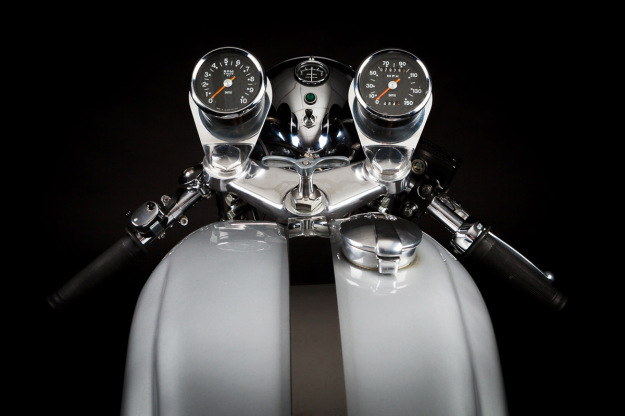 Magnificent English names have provided other parts: John Tickle for the headlight brackets, and Barleycorn Engineering for the rearsets, seat loop and rear fender. The only concession to modernity is the lithium-ion battery hiding under the seat hump. Much as we love the current trend for scramblers and trackers, a traditional café racer like this exerts an irresistible pull. Maybe it’s time for the loop to go full circle? Images by Ian Daisley—ProBikeART. 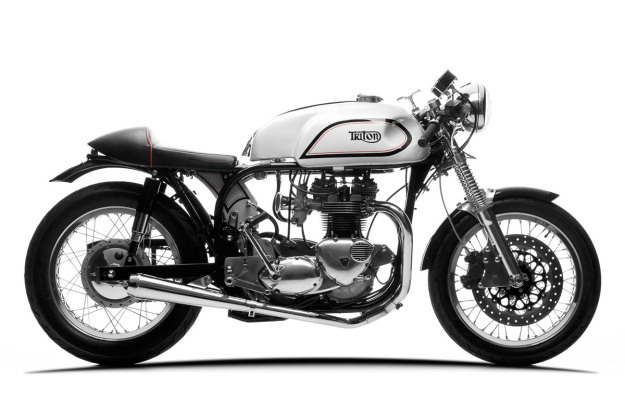 For more stunning trad cafe racers, check out our piece on the Top 5 Tritons.